Easy to use and technologically advance, automated gates are the handiest solution to control access and improve the security of a home or business. Offering improved site security and more stringent access control, automated gates feature regularly in private properties. At MODE Fire + Security, we offer a comprehensive range of automated gates that serve as a deterrent to burglars, car thieves, and vandals, helping you ensure the security of your loved ones, as well as your assets. Being a leading provider of security solutions, we work with some of the most reputable manufactures who are renowned worldwide for providing superior-quality automated gates that offer the perfect combination of aesthetic and practical value. Whether you are looking for an automated gate with cantilever automation for your home or want secure a wide entrance with a sliding electric gate, you will be able to find a security solution that suits your precise requirements at MODE Fire + Security. With privacy and style being important factors for many of our customers, we have curated an extensive range of wooden and wrought iron automated gates that will not only guard your property, but also add to its curb appeal. From basic automated gates with a sleek, simple design to technologically advance, more elaborate options, our range features a wide range of options for clients with diverse needs. Swing Gates — A great option for customers who want their automated gate to look aesthetically pleasing in addition to being durable and functional. Swing gates are further categorised into different types, such as balustrade gates, palisade gates, and welded mesh gates. These gates can be equipped with high-end features to improve security, such as barbed wire and electric pulses. Sliding Gates — Relatively more secure than swing gates, sliding gates are an ideal choice for wide entrances or for access points that are located on an incline. These gates are a popular choice with businesses across the UK because of their space efficient design and excellent performance. Cantilever Sliding Gates — Cantilever gates do not require a track to run along the opening and are therefore an ideal choice for businesses and households that are located in regions that experience heavy snowfall. While cantilever sliding gates offer a smooth operation, they require more space to slide as compared to other types of automated gates. While automated gates are a great option to enhance the security of a property, their functionality can be compromised due to poor design, inadequate installation, or mechanical malfunctions. 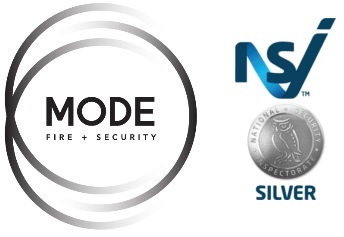 To help you ensure the security and wellbeing of your family, MODE Fire + Security offers a full range of installation and configuration services. From completing the required groundwork for the installation of your automated gate to the configuration of command and safety equipment, we offer you a cohesive solution for a quick, seamless, and trouble-free installation of automated gates.